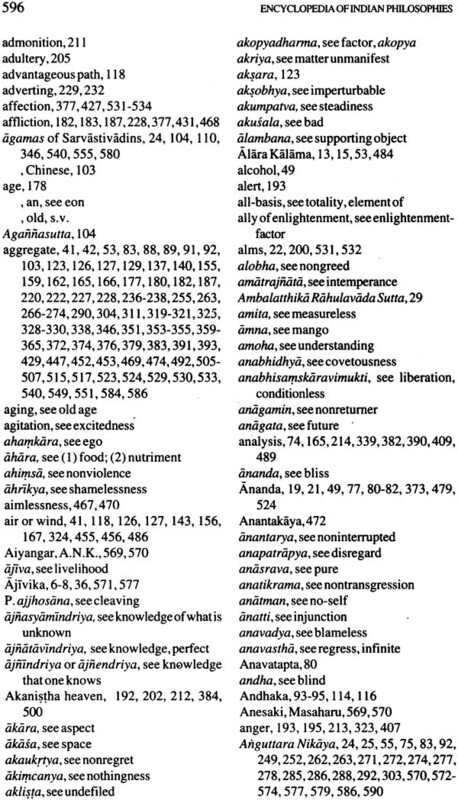 Books > Buddhist > Mahayana > Encyclopedia of Indian Philosophies Volume VII: Abhidharma Buddhism To 150 A.D. 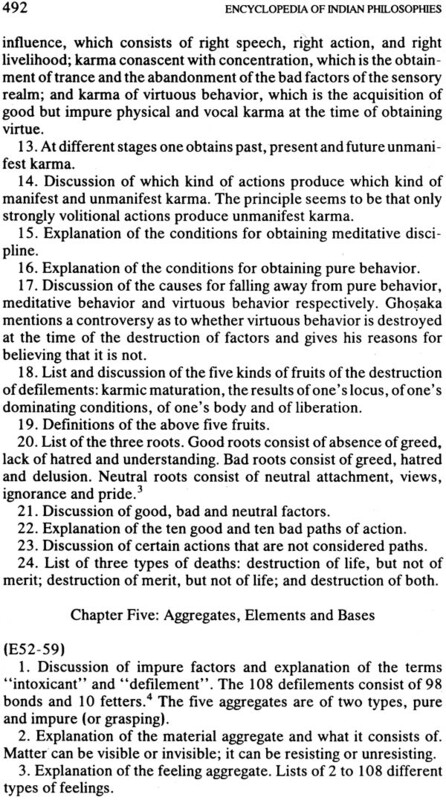 Soon after the time of Gautama the Buddha a literature began to grow, involving the reported words of Gautama, the rules and procedures governing the order of monks he founded, and attempts to set forth his philosophical teachings as understood and developed by his immediate pupils and the schools of Buddhist thought which grew in succeeding generations. 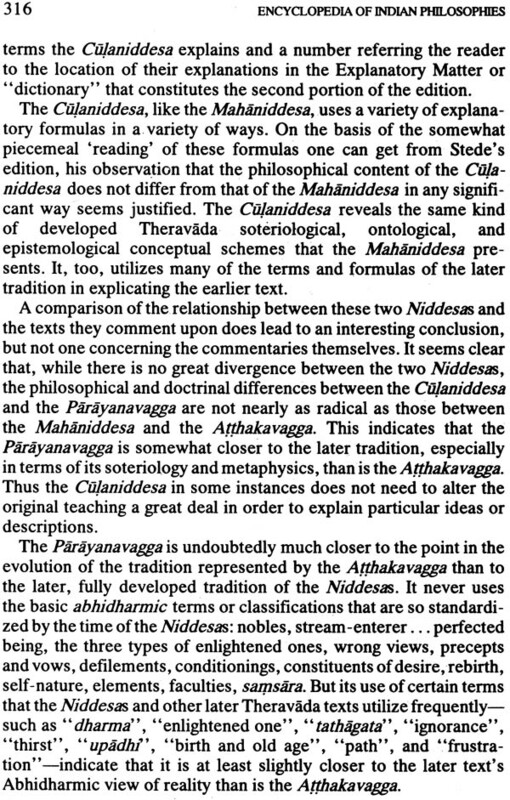 The present volume undertakes to summarize the gist of these philosophical teachings, termed Abhidharma, from the first texts that developed after the Buddha up to and including the mammoth text called Mahavibhasa, generated from a convention held in the first or second century A.D. Thus all the texts here summarized originated in a period from no earlier than 350 B.C. through no later than 150 A.D. 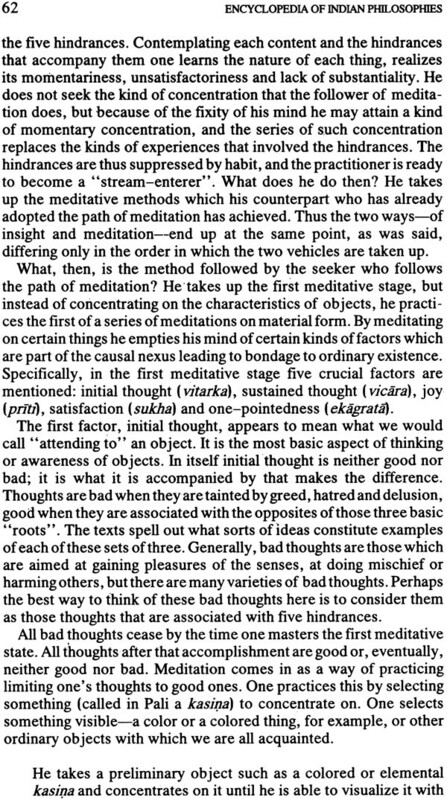 The authors of these texts are mainly concerned to set forth the tenets and arguments of Buddhist philosophy as understood by what came to be two main literary traditions of Abhidharma. 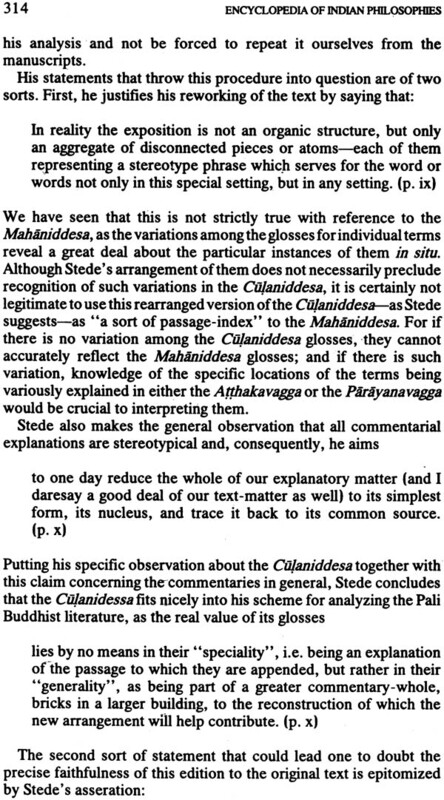 One of these traditions migrated eventually to Sri Lanka, and it is its literary corpus that is now known as the Pali canon. 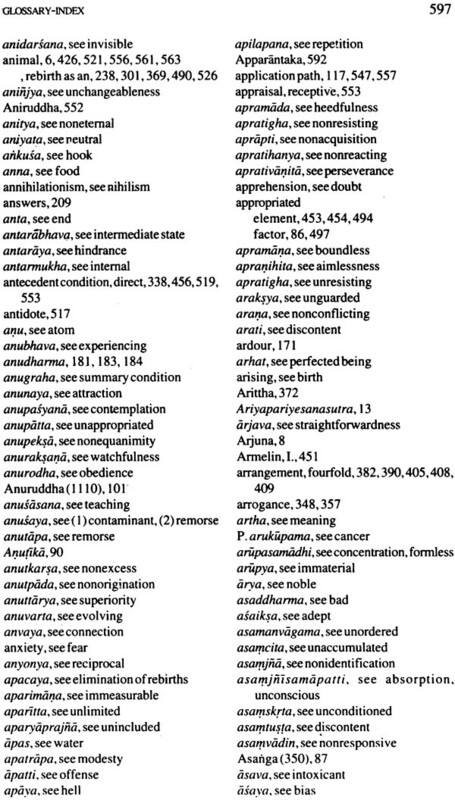 The other tradition, which stemmed from the northern part of India, came to be known as Sarvastivada, as in its texts it was proposed that the momentary factors (dharma) that comprise the components of the Buddhist universe really exist, not only such factors presently occurring but past and future ones as well. 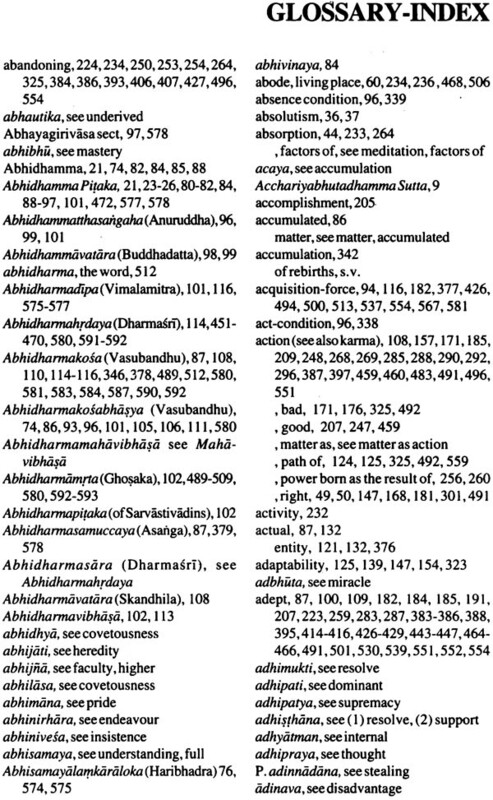 Each of these two schools had its own Abhidharma, two sets of seven texts each, in which their views are set forth in extensive detail. It is the thoughts presented in these texts, together with a handful of other sources of the period, that comprise the contents of the present volume. This volume is the combined work of a team. Some sixteen scholars contributed to the summaries or the introductory material. The Editors likewise comprise a team. Robert E. Buswell, Jr. is Professor of East Asian Languages at the University of California at Los Angeles. Padmanabh S. Jaini is Professor in the Department of South and Southeast Asian Language at the University of California at Berkeley. Noble Ross Reat is Professor in the Department of Studies in Religion, University of Queensland, St. Lucia, Queensland. Karl H. Potter is Professor of Philosophy and South Asian Studies at the University of Washington in Seattle, and is the General Editor of the Encyclopedia of Indian Philosophies. 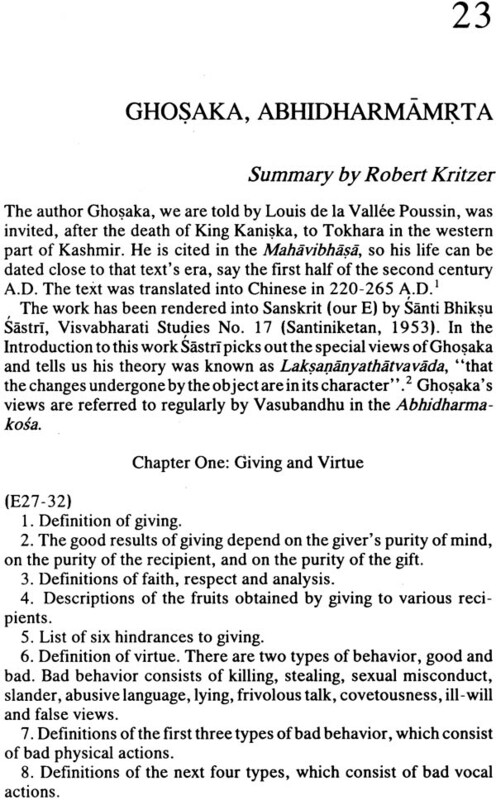 With the present volume of the Encyclopedia we begin taking up the philosophy of Buddhism in South Asia. 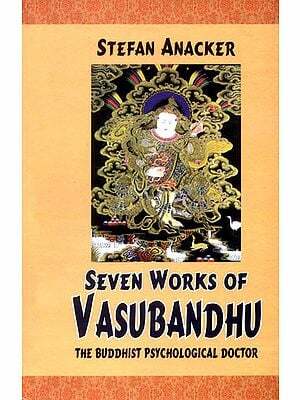 When this project was first planned, many years ago now, it was thought that Buddhist philosophy would be handled expeditiously in one volume on Abhidharma Buddhism and three more on Mahayana. After further reflection, however, it became apparent that though this division may represent what impose latter-day distinctions on a tradition which has a lot more in common throughout than such a division would well represent. 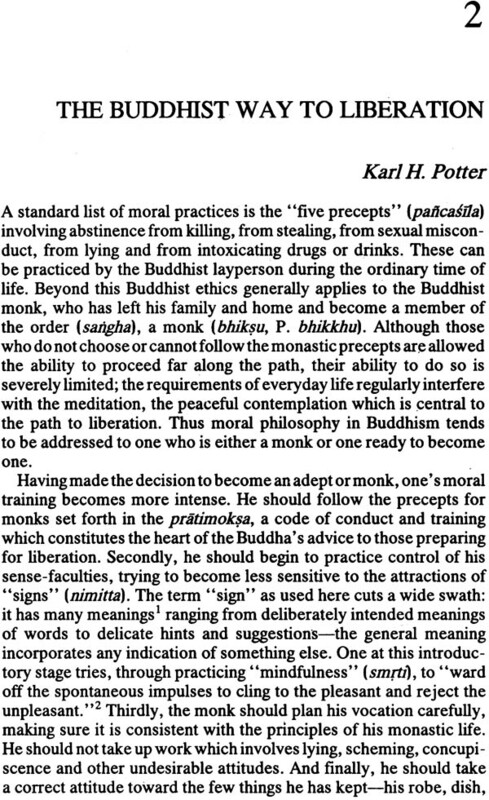 As a result it has been decided to treat Buddhist philosophy all together chronologically, beginning with the Buddha and ending when Buddhist thought leaves India around the 14th century A.D. 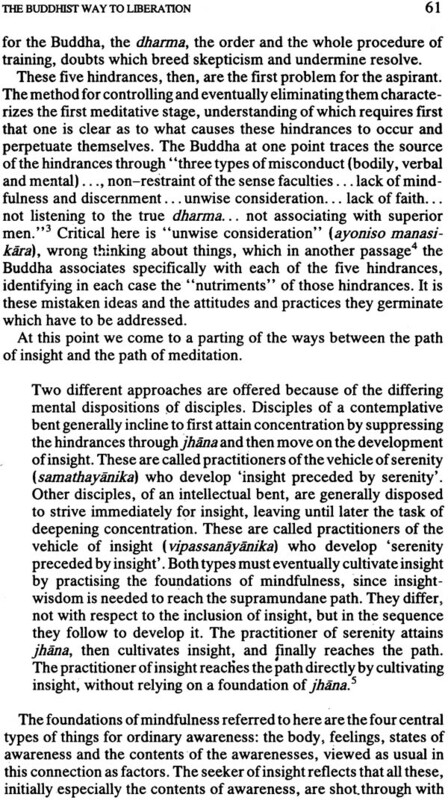 Thus Abhidharm and Mahayana writers will be treated side by side, and some may find distinctions among schools of Buddhism dealt with insufficiently for their liking. We can only say that it seems wisest not to impose more divisions into Buddhism may clarify the lines of distrinction among Buddhist schools and sect that is still a subject on which opinions differ, often heatedly. 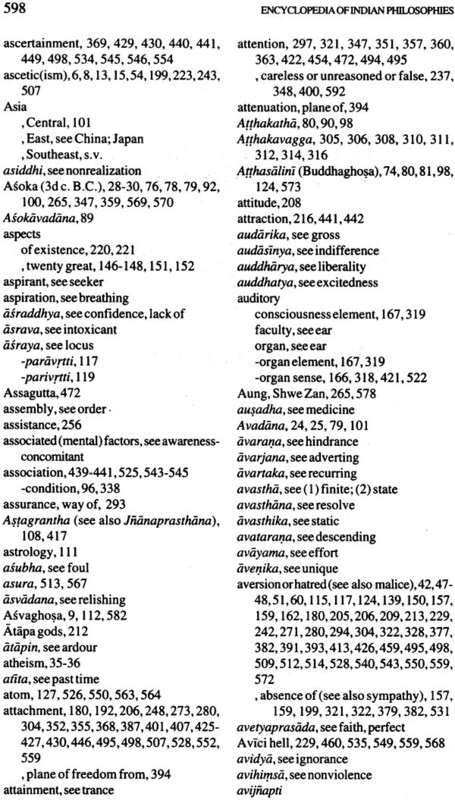 Let me remind our readers that the scope of these volumes is limited to summaries of text that are of philosophical interest throughout, theoretical rather than practical in their intended function, and polemical or at least expository in a context where defence of one view among alternatives is appropriate. In the present volume these criteria have been interpreted broadly and loosely. 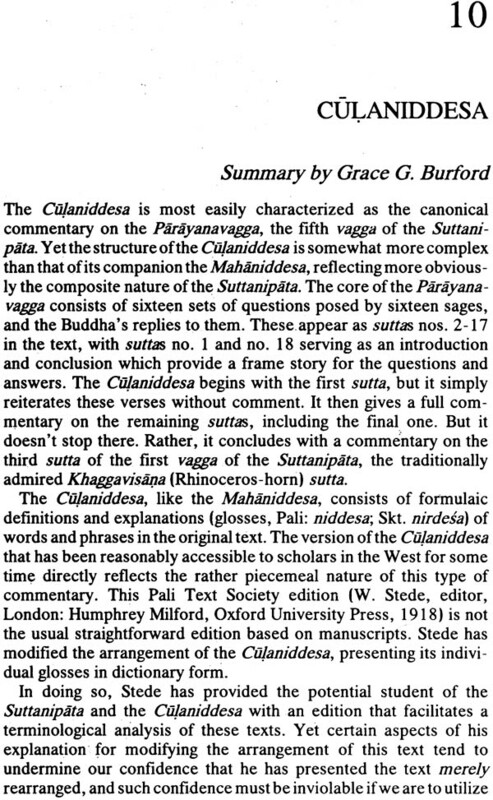 Nevertheless, as in the volumes dealing with Vedanta, for example, where we summarize commentaries on the Upanisads but not those Upanisads themselves, in the present volume and the subsequent ones to appear dealing with Buddhism the original sutras, the earliest literature regularly ascribed to the Buddha or his immediate disciples, is not summarized, following the same lines of distinction. 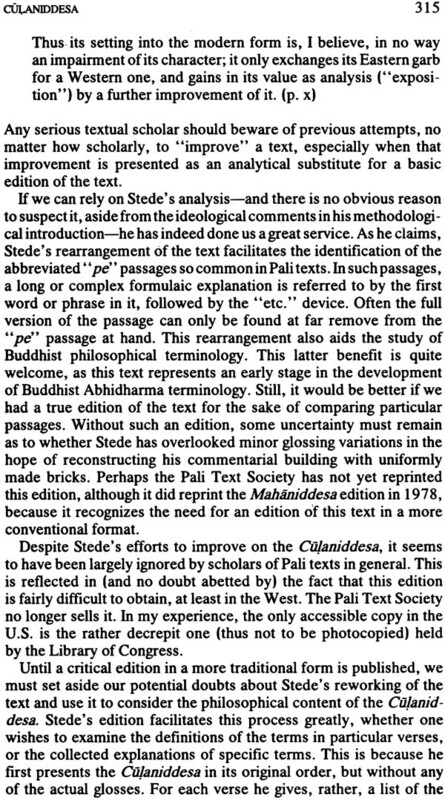 The present volume confines itself to Abhidharma philosophical texts. 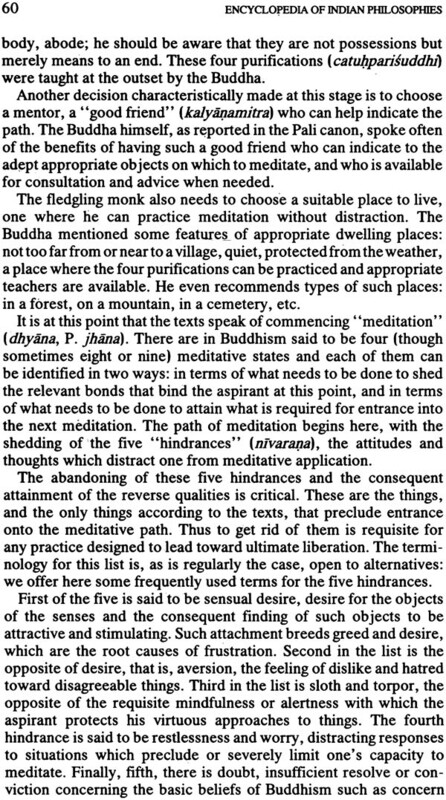 It may well be that certain of the Prajnaparamita sutras had their origin at a time within the period covered here. 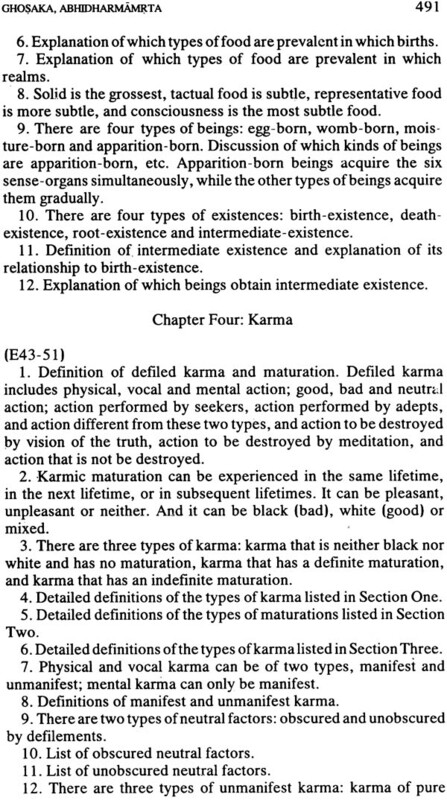 However, since dating is quite unclear in such cases we have decided to take up those sutras in the next volume on Buddhism, where we shall discuss in greater detail the question of the dates and affiliation of the earliest Mahayana Buddhist materials. The preparation of this volume was made possible in part by a grant from the Division of Research Programs of the National Endowment for the Humanities, an independent Federal agency. We acknowledge with gratitude the generous support of the Endowment for this and subsequent volumes dealing with Buddhism, as well as for making possible acquisition of some of the summaries appearing in other volumes of our Encyclopedia. Thanks are also due to Smithsonian Institution for assistance relating to travel and maintenance for the General Editor while collecting some of the materials included herein, and to the American Institute for Indian Studies for their assistance like ways. Finally, the editorial team would like to express particular thanks to Collett Cox, who read the finished manuscript and made helpful suggestions, and to Laura Townsend, our faithful typist.